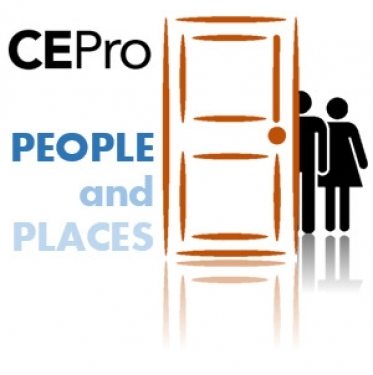 CE Pro People & Places is a daily feature on CEPro.com. If you are looking for a job or to fill a vacant position in the custom electronics industry, please visit the CE Pro Job Board at Integratorjobs.com. Check out the previous version of this page here. Nortek Security & Control LLC (NSC), a global developer of wireless security, home automation, access control and health and wellness technologies, announced the appointment of Eldon Henry as Latin America sales manager CI & security, reporting to Horacio Morales, director of international sales. The appointment strengthens the company’s ability to bring advanced technology solutions to customers throughout the region. According to NSC Sales Vice President, Jeff Costello, Henry’s 15 years of industry experience and knowledge make him the perfect candidate for the newly created position. Nortek Security & Control LLC (NSC), a manufacturer if wireless security, home automation, access control and health and wellness technologies, has announced the promotion of Chris Lynch to manager of builder services. Lynch now joins director of builder services, Bret Jacob, expanding the Nortek New Home Program to create opportunities for builders, architects, designers and integrators. Before his promotion Lynch served as the regional sales manager, in which he was responsible for managing more than 150 direct custom installation dealers and distributors in the Southern California and Utah regions. Earlier in his career, Lynch worked as a territory account manager at Almo Professional A/V, a district manager at AVAD, and an account manager at Kaleidescape. ProSource, a national video, and integration buying group, has announced the addition of 10 new custom integrator (CI) members, one new Power level member and one new PRO member in the first quarter of 2019. New members in Q1 represent $45 million in new revenue for the group. Plus, four ProSource CI members have been elevated to the Power membership level in Q1. "Our growth strategy targets best-in-class operations that contribute to the overall strength of the organization," says Dave Workman, CEO and President of ProSource. "ProSource's tiered structure offers our members the opportunity to grow from within." • Architechnology Designs, Melville, N.Y.
• ECS AV, Redondo Beach, Calif.
• MediaTech Living, St. Charles, Ill.
• SoundFX, West Warwick, R.I.
• Elevated Electronics, Overland Park, Kan.
• Global Sight & Sound, Brown Deer, Wisc. • Innovation Sight & Sound, Tampa, Fla.
• Lightworks, San Diego, Calif.
• Audio Advisor, Inc., Grand Rapids, Mich.
CEDIA has announced that it has become a partner of the Design Leadership Network (DLN). 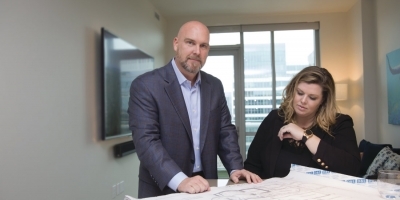 The DLN seeks to promote growth and professional practices in the high-end residential and related hospitality design markets by creating educational experiences for its members. CEDIA has joined the organization with the goal to connect members with the DLN’s broad membership base of interior designers, architects, landscape architects and design brands for future technology and design collaboration. Best Buy Co., Inc., has announced that its board of directors has elected Corie Barry, currently the company’s chief financial and strategic transformation officer, to become chief executive officer, effective following the company’s annual meeting of shareholders on June 11, 2019. At that time, Hubert Joly, Best Buy’s current chairman and chief executive officer, will transition to the newly created role of executive chairman of the board. These changes reflect the board’s ongoing succession planning process and are designed to provide leadership continuity as the company continues to execute its strategic growth initiatives. Barry will also join the board of directors, which will expand to 13 directors. HARMAN International, a wholly-owned subsidiary of Samsung Electronics Co., Ltd. focused on connected technologies for automotive, consumer and enterprise markets, has announced David Tovissi joined HARMAN as vice president and general manager of the luxury audio division. Tovissi brings over 35 years of Consumer Electronics experience to HARMAN through his various executive roles in manufacturing, retail, custom installation and post-sales service organizations. Most recently Tovissi was the executive vice president of ToughBuilt Industries Inc, a manufacturer of products for the construction industry. 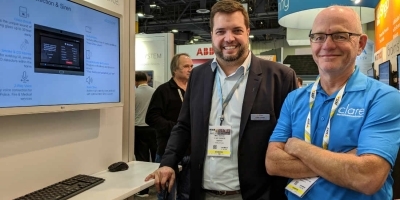 WiSA has added 18 new members and grown nearly 40 percent since CES 2019. In addition, the trade organization says that it has also grown by 83 percent since this time in 2018. According to the trade group, the growth largely due to the launch of its new WiSA Ready Platform, which simplifies the consumer set up process to deliver up to eight channels of high-definition wireless audio. Recently, WiSA also announced the addition of four new members: THX Ltd., Savant, IAG and Fengmi. These companies join existing members that include LG Electronics, Xbox, Klipsch, Harman International and TCL Technology, among others. ADI Global Distribution (ADI), has announced the winner of its 2018 Customer Appreciation Car Giveaway Sweepstakes. Roddy Bieber, vice president special hazards, alarm, and detections, (SHAD) at American Fire Protection Group, Inc., was selected from more than 5,000 entries to win the sweepstakes and a new Jaguar F-PACE. HiberSense, designers and manufacturers of smart climate solutions, has appointed Chris Lawson as channel sales manager for the U.S. market. Lawson will be charged with presenting the HiberSense solution to residential and commercial technology integrators as well as HVAC contractors while providing critical training and sales support throughout these channels. Lawson will also showcase the HiberSense solution to prospective customers at select tradeshows throughout the U.S.
Home Technology Specialists of America (HTSA), a consortium of hybrid retail and custom integration members, has announced the appointment of Keith Esterly as chief learning architect. The group says this is a newly created position with the group, and Esterly joins HTSA’s management team to head a new initiative developing custom education and team development programs for member company employees. Esterly comes to HTSA with 20 years of experience in the fields of training, education, program creation and workforce development. “HTSA continues to invest heavily in its membership by building our stable of in-house experts who work full time to design, launch, and manage major new programs. This new team development initiative will likely be as important and beneficial to HTSA members as our incredibly successful lighting fixtures and services initiative launched back in 2017,” says Jon Robbins, executive director of Home Technology Specialists of America. CEDIA has named the first two recipients of its CEDIA Member of Excellence designation. U.K.-based integrators ConnectedWorks and Homeplay have proven their commitment to craftsmanship, customer service, certification, and community outreach in achieving the status. "ConnectedWorks and Homeplay are highly respected among custom integrators," says Giles Sutton, senior vice president of industry engagement, CEDIA. "Their recognition as the first-ever CEDIA Member of Excellence recipients raises the bar for the rest of the industry and gives ConnectedWorks and Homeplay an honor that demonstrates to customers and peers that they are, indeed, elite CEDIA member companies." A percentage (based on size) of each company’s full-time technical staff must hold at least one CEDIA advanced certification -- ESC-T, ESC-D, or ESC-N Certification (does not include ESC). Control4 Corporation, a global provider of smart home solutions, has announces 67 Control4 dealers who have achieved lifetime Pinnacle status for their respective businesses. With more than 385,000 homes worldwide, the number of Control4 Systems is growing. The new Pinnacle dealers join over 300 others of this status worldwide who are distinguished from their long-term success having purchased one million dollars in their local currency of Control4, Triad, and/or Pakedge equipment over the course of their business. 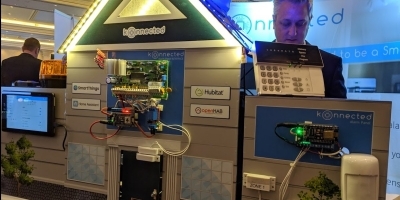 They collectively have expansive, proven expertise in programming everything from starter, one-room smart home systems to whole-home, hotel, and other commercial space automation projects. The list of dealers feature businesses from Canada, China and the United States, and states ranging from Massachusetts to California. New York Marketing Team will handle the Metro N.Y. and Northern N.J. territories. Call 516-280-8100 or email at info@thenymt.com. Aurora Group, Inc., will handle the mid-Atlantic territory. Call 703-244-7749 or email at info@auroragroup.biz. Precision Sales Group, Inc., will take care of the Southeastern U.S. Call 980-781-5078 or email at info@psgreps.com. Elite 3 Pro will manage the TOLA territory. Call 281- 973-9991 or email sales@elite3pro.com. MSE Audio, the parent company of Phase Technology, Induction Dynamics, dARTS, SoundTube Entertainment, SolidDrive, Rockustics and Soundsphere, has announced the territory expansion for Cardone, Solomon and Associates in the Mid-Atlantic region, which includes Maryland, Delaware, Pennsylvania, District of Columbia, and Virginia. Audio Gear Group, manufacturer and distributor of a portfolio of custom integration brands, has announced the appointment of Bryan Strachota to the position of national brand manager, effective immediately. This appointment is in response to the dramatic growth of the company, which markets high-performance architectural and landscape speakers, subwoofers, amplifiers, and accessories for the custom integration industry. Strachota will work closely with Audio Gear Group’s sales manager Ed Han and will be in charge of hiring, managing, and motivating a national sales force of independent sales representative firms, as well as custom integration-focused distributors. He will also build and oversee Audio Gear Group’s national network of premier local custom integration system specialists. In addition to these sales responsibilities Strachota will be in charge of Audio Gear Group’s portfolio of brands including OSD Audio, OSD BLACK Series, Miller & Kreisel (M&K), and Carver. His responsibilities will include creating profitable dealer programs, overseeing sales operations and administration, creating and managing dealer product training, and administration of customer support functions. Project OAR for Open Addressable Ready, the consortium is working to define technical standards for TV programmers and platforms to deliver more relevant advertising experiences within linear and on-demand formats on smart TVs. Project OAR allows ad-inventory owners, whether programmers or distributors, the technical means to better monetize every TV impression through segment-based audience targets and addressable insertion. "TV programmers reach a massive and passionate audience, but have lacked the precision targeting of digital," says Mike Dean, senior vice president, advanced advertising and automation at CBS. "Through OAR, CBS will combine relevance with our reach to deliver a better experience to our viewers and better ROI for our advertisers." With OAR, media companies can deliver ads that are relevant to the household and, more importantly, improve the linear viewing experience for consumers. "We all recognize the most important goal of this initiative is to drastically enhance the TV experience for people at home," adds VIZIO founder and chief executive officer William Wang. Backstage Auctions, Inc., presents the upcoming “All Access David Frangioni” auction event which will feature a host of historic rock and audio memorabilia including drums and drum kits, audio equipment, and more, from award-winning audio engineer, author, collector, and owner of the integration firm Audio One David Frangioni. The auction will go live on March 16 with a special VIP preview of the entire online catalog beginning on March 9. Complete, historic drum kits will be up for auction, including those from legendary drummers such as Carl Palmer, Carmine Appice, Eric Singer, Terry Bozzio, Gregg Bissonette, and Mike Portnoy. There is an overwhelming assortment of Carl Palmer, Asia and ELP road cases, gear and equipment, as well vintage road cases that belonged to Cozy Powell from his Black Sabbath years. Dozens of collectible snare drums and an exciting offering of vintage recording studio equipment will be up for auction. The exclamation point to this auction will come in the form of a broad selection of A-level memorabilia related to KISS, ELP, The Beatles, Rolling Stones, Led Zeppelin, Pink Floyd, RUSH, AC/DC, Michael Jackson, Aerosmith, Black Sabbath & Ozzy Osbourne, U2, Van Halen, Metallica, Motley Crue, and many others. AVPro Global Holdings, home to AVPro Edge, Murideo, Bullet Train, and CANVAScsi, has announced the hiring of Steve Baker as a regional sales manager for the West Coast of the United States. Since starting with Pacific Stereo in 1979, Baker has been an asset to each company he has worked for. His experience working in the CEDIA space Steve has impacted many companies throughout his career including AVAD, Liberty Bell Smart Home, and Custom Plus Distributing. At AVPro Baker will be responsible for maintaining and facilitating relationships with customers and assuring their success with the full line up of AVPro solutions. “We are extremely pleased to have filled out our West Coast regional sales management team with Steve Baker. Steve comes from a long and solid background in AV and is all about helping customers succeed. 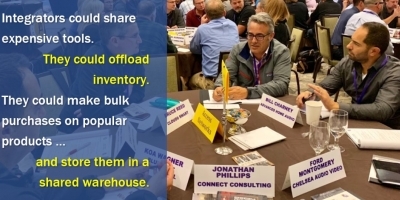 His knowledge of connectivity will make him an asset for dealers and our company," states Jeff Murray of AVPro. Atlona has named AMI Sales as its manufacturer’s representative for residential AV in Florida, effective immediately. The appointment will strengthen Atlona’s visibility and brand awareness throughout the state, given AMI Sales’ nearly five decades of experience serving the Florida market. Founded in 1972, AMI Sales specializes in representing premier consumer electronics brands, and adds value through an array of professional consulting, design and engineering services. The company works closely with dealers and installers to create custom solutions and solve problems for residential and light commercial projects. Access Networks, the enterprise-grade networking solutions provider that serves the custom installation industry, has added Bobby Giebenrath to its sales team. Selected to support dealers in equipping customers with the enterprise-grade networking gear, Giebenrath will bring his technical expertise to his role as the company's Southeast sales manager. Giebenrath is an experienced technical and regional sales manager coming to Access Networks from Commandscape, where he was a sales engineer, wired technology group, where he was an account manager, and Savant Systems, where he was a regional sales manager and sales engineer. Sonnen has announced the appointment of a new U.S Board of Directors. The board will be responsible for leading the rapid scaling and expansion of the company’s residential energy storage business throughout North America, Latin America and the Caribbean. Board members include Blake Richetta as Chairman and Chief Executive Officer, Carlos Restrepo as Chief Technology Officer (CTO), Brent Stayer as Chief Operations Officer (COO), and James Claflin as Chief Financial Officer (CFO). “Our business in the U.S. has grown quickly over the last few years with a focus on new market innovations and sales expansion. We plan to continue this rapid growth in the years to come and for this, we will need the right strategies and leadership in place. We are delighted to establish a deeply experienced Board of Directors to achieve this acceleration and continued expansion of our business in the Americas,” says Christoph Ostermann, Global CEO of the Sonnen Group. As chairman and Chief Executive Officer (CEO) of sonnen, Inc., Blake Richetta brings deep experience in energy management to his leadership of the organization. Prior to sonnen, Blake served as North American Powerwall Sales Manager at Tesla and spent 15 years at Lutron building the smart home lighting and shading business in the home automation and home building industries. Carlos Restrepo, CTO, leads R&D and Engineering for Sonnen, Inc. and is responsible for ongoing product innovations and development for the Americas, including energy storage systems, energy automation technology and the sonnenCommunity. With over 18 years of experience innovating market-changing technologies in home automation, circuit protection and solar power electronics, Restrepo has led technology-centric organizations and holds several major patents, for groundbreaking innovations, including multiple patents for Arc Fault technology. Brent Stayer, COO, is responsible for production, manufacturing, quality and distribution for Sonnen, Inc. Stayer has more than 30 years of experience in global electronics and home automation at Lutron Electronics. James Claflin, CFO, brings 25 years of experience as a small business entrepreneur and financial manager with a track record of enhancing operational efficiency and profits. Sonnen, Inc. U.S. headquarters is in Tucker, Georgia. KNIPEX Tools announced that Beverly Richards was promoted from marketing manager to vice president of marketing, while Steve Deering was promoted from warehouse manager to vice president of operations. Comprehensive Connectivity Company, a manufacturer od pro AV/IT equipment for 45 years, has recently signed a distribution agreement with Accu-Tech. Headquartered in Alpharetta, Georgia, Accu-Tech is a low voltage distributor with over 30 branch locations around the country. Their business focus is on providing a complete solution to their customers in voice, data, security, AV and wireless, among other categories. “Over the decades, Comprehensive has built a reputation for manufacturing the most reliable connectivity products available to professional AV and IT integrators and resellers. Simultaneously, Accu-Tech has earned a stellar reputation of their own as one of the premier solutions-based distributors in the channel. With their recent foray into the AV market, we believe Comprehensive’s cutting-edge connectivity products are a perfect fit for their commercial customers and integrators. We expect Accu-Tech will be very successful with the Comprehensive brand and we are excited to be working with such a great organization,” says Scott Schaefer, president of Comprehensive. Origin Acoustics has been selected to outfit The New American Remodel show home at 2019 International Builders Show by architect/ builder Michael Gardner of studio g Architecture, and Luxus Design Build. The home includes 5,900-square-feet of living space and adheres to the criteria as set forth from the National Association of Home Builders (NAHB). The remodel home was built in 1950 and is located just outside of Downtown Las Vegas on Pinto Lane near Rancho Blvd. The home area is densely populated with large home sites and custom homes. Many are more than half-a-century old and have been owned by celebrities and dignitaries. 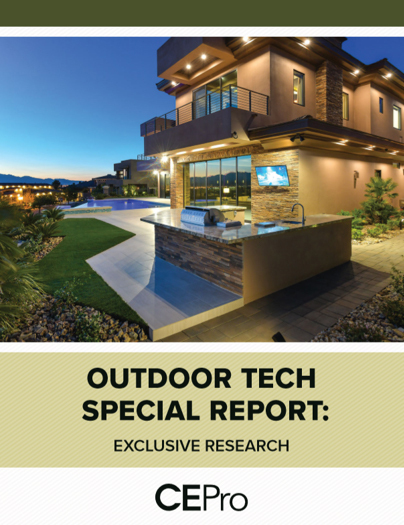 For the home entertainment, outdoor living and multi-generational living solutions design, Michael Gardner and studio g Architecture selected Origin Acoustics Las Vegas dealer, The Automation Studio, for the project. The home's acoustics include a combination of Origin Acoustics D65 and D85 Directors Collection performance in-ceiling loudspeakers installed throughout the home – 65 in total. AVPro Global Holdings, home to AVPro Edge, Murideo, Bullet Train, and CANVAScsi, has announced the hiring of Kevin Billingsley as vice president of sales. Formerly of Kaleidescape, Atlona, Clare Controls and Middle Atlantic Products, Billingsley has a proven track record of introducing successful channel strategies and driving effective sales programs throughout his career. At AVPro, he will be responsible for the management and success of the global sales organization as well as oversight and management of AVPro’s network of manufacturer’s representatives and distributors across North America. “We are pleased to have filled our VP of Sales position with a seasoned leader with years of experience in both residential and commercial AV. Kevin will be managing all aspects of our sales channels including in-house reps, manufacturer’s reps and distributors," says Jeff Murray, CEO of AVPro Global. Pro Audio Technology (PRO), a manufacturer of high-output loudspeakers and DSP-programmable amplifier systems, has added a new sales engineer to serve PRO dealers, reps, and international distributors with support and expertise to optimize systems. Chris Farley will fill the newly created sales engineer role. Having served as PRO’s lead software engineer for the last nine years, Farley will apply his expertise directly to PRO client projects, including all customer-facing pre- and post-sales technical support and customer service. “Maximizing the acoustic capabilities of a PRO system is complex, and specification, support, and installation require a high-level of technical competence. Chris brings that technical knowledge to the sales team where he’ll make it easier for our customers to sell and install PRO products by providing system design, technical support, and on-site calibration services,” says Paul Hales, founder, president, and product designer, Pro Audio Technology. AWA Reps is a manufacture’s rep firm based out of Illinois. It was founded by the principal, Austin Wendt, in 2009 with a vision of becoming the premiere rep firm within the Midwest. Started off focused on the security distribution channel and in 2017 expanded into the CEDIA Channel with brands such as Origin Acoustics, Audio Control, SI. Recently, AWA Reps hired Andy Spolar as the new director of sales leading the charge in growing the CEDIA channel for the company. He brings over 15 years of experience in the consumer electronics category with six years at distributors AVAD & Allnet/SnapAV. In addition, AVPro Edge has signed with AWA Reps for the Midwest Territory. Austin Wendt and Andy Spolar are looking to lead the 4K Video Distribution category in the Midwest with AVPro Edge. James Loudspeaker, a manufacturer of entertainment products for both residential and commercial applications, has announced that John Parker of Parker Custom Solutions has been named independent sales rep of the year for 2018. Parker dramatically increased sales in the Arizona region that he covers for the James Loudspeaker brand. Parker was formerly the vice president of North American sales at James Loudspeaker and worked for the company for 19 years before founding his independent sales firm based in Mesa, Ariz. Parker has achieved significant sales growth for the brand in Arizona and attributes his success to a few simple tenets. “My team and I have worked with John for many years and his knowledge and passion for the James Loudspeaker brand is directly reflected in his performance as an independent rep,” adds Mark Schafle, CEO, James Loudspeaker. The Park West Group, an executive search firm serving the CEDIA and AVIXA channels within the consumer electronics industry, has announced that Mary Demple has been appointed to the position of senior account manager. Demple is responsible for client strategy, candidate sourcing and business development. She brings over 10 years of experience in talent acquisition and human resources leadership, both nationally and globally in the consumer electronics and eCommerce industries. To strengthen its market share and brand visibility across the TOLA region (Texas, Oklahoma, Louisiana, and Arkansas), the AV collaboration company Atlona has appointed Craig Childs as regional sales manager, TOLA, for both residential and commercial markets. 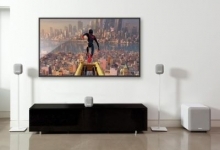 Kanto Living Inc., a manufacturer of powered audio and mounting solutions, has announced it has appointed manufacturer's rep firm JBA Sales to provide sales and marketing services for the New York metropolitan area. "Kanto Living's growth in both product categories and increasing demand in consumer and B2B markets requires increased sales capacity for our Canadian company," says Eric Smith, vice president of sales for Kanto Living. JBA Sales will represent Kanto's full lineup of powered speaker systems, TV mounts, speaker stands and accessories in its territory. Located in Randolph, N.J., JBA Sales represents and markets audio, video, networking, noise control and other products and services for consumer, professional, custom-installation and outdoor applications. AMETEK Electronic Systems Protection has hired Justin Peyton as its new sales director for the EMEA region, to oversee its ESP and SurgeX brands. Peyton is a two-decade veteran of the residential and commercial electronics industries, and he will help the company grow in the residential, pro AV, broadcast, IT and digital signage categories. "Due to both ESP and SurgeX's continued growth, our team needed a dedicated resource to drive the business," says Kent Dunn, director, business development and international sales, AMETEK Electronic Systems Protection. "His ability to deliver results and incite business turnaround in new markets make him an excellent fit, and we're excited for what the future holds for the two brands globally." Nortek Security & Control LLC (NSC), a global manufacturer of wireless security, home automation, access control, and health and wellness technology, has announced the appointments of Alan Banta, Blake Jochum and Steve Moore as custom install channel regional sales managers. Banta now serves the North Central region states of N.D., S.D., Colo., Neb., Kan., Iowa, and Mo., while Jochum covers all of Florida, and Moore serving Ill,, Mich., and Wisc. Savant also recognized their Pro Advisory Council 2018, which consists of professional integrators in a wide variety of markets and business models. Draper, Inc., has announced the addition of AV industry veteran Grant Wylie as director of product management-AV structures and solutions. Wylie’s 13 years in AV includes product management roles for Daktronics, Peerless AV, and, most recently, NEC Display Solutions of America. As part of its Canadian business activities SI will work with the Calgary and Toronto AVAD offices to stock products, and it will offer Canadian dealers weekly webinars, factory visits to Texas, demo programs and other support initiatives. “I’ve been listening to the Canadian dealers loud and clear and they want to be part of the SI family. With our new Shade technology, now is the time to deepen our direct relationship with our Canadian partners, giving them the same sales, support, and service that our U.S. dealers receive. This will be a fun time! Welcome to the family Canada,” states Ryan Gustafson, CEO and Found, Screen Innovations. The CEDIA trade group organization has named Ian Bryant senior director of technology application and innovation. A veteran of more than two decades in custom AV and integration, Bryant runs the Indianapolis office of Detroit-based ZenArray. The company specializes in consulting, design, programming, and installation services. His background includes serving as a technology subcontractor for residential, corporate, government, and hospitality projects. "We've become familiar with Ian's high level of performance for more than 10 years through his volunteer efforts and contract work with CEDIA, as well as the industry expertise and involvement he's provided," says Tabatha O'Connor, global president and chief executive officer, CEDIA. "He's the right addition to bolster the CEDIA staff, especially in education and certification." Kaleidescape, a manufacturer of video products and content services, has announced the addition of executives to fill important roles for the company as it ramps up investment in sales and marketing to drive growth worldwide. Erwin Bosma joins Kaleidescape as its vice president, international to spearhead the global marine business, as well as to support residential growth in select markets worldwide. Bosma brings technology sales experience in home automation, internet of things (IoT), consumer premise equipment (set-top boxes and gateways), and semiconductor chips from companies such as Greenwave Systems, Savant, and NXP Semiconductors. Geoff Stedman joins Kaleidescape as its vice president, marketing to grow the luxury home cinema brand as a product and content supplier for customers who enjoy movies. Stedman brings to Kaleidescape extensive marketing leadership experience having led marketing at several media and entertainment technology companies, including Quantum, Harmonic, and Omneon. RTI, a global control and automation manufacturer for residential and commercial settings, has announced that Joe Mattera, owner of New York-based Mattera Design Inc., has received the company's inaugural Dealer of the Year Award. Mattera has been in the custom installation industry for almost 20 years. He started Mattera Design in 2009 to provide AV and automation system design and installation services for both commercial and luxury residential installations, and has been an RTI dealer for the last six years. "We looked at a number of criteria when selecting our RTI Dealer of the Year, and Mattera Design checked every box," says Ed McConaghay, CEO of RTI. Klipsch, a global audio company, has announced another three-year extension to its long-term partnership with the Authorized Integrators Network (AiN) Group. The move solidifies Klipsch as the group’s preferred premium speaker provider. Nortek Security & Control LLC (NSC), a global manufacturer of wireless security, home automation, access control, and health and wellness technologies, has announced the appointment of Julio Rodriguez as distribution sales manager to provide ongoing support of NSC’s current distribution partners. Rodriguez reports directly to senior director of distribution sales Peter Scholovich, who joined NSC in the fall of 2018. QSC has announced that Joe Pham, Ph.D, president & CEO, QSC, has been named Chairman of the 2019 AVIXA board of directors. This will be Pham’s fifth year as a member of the board, having served as the board’s Vice Chair in 2018. The Zigbee Alliance, an organization of hundreds of companies creating, maintaining, and delivering open, global standards for the Internet of Things (IoT), has announced that Amazon will join its board of directors. As IoT growth continues to accelerate, prominent companies in the tech industry are collaborating within the Zigbee Alliance to shape the direction of standards, ecosystems, and devices to offer users easy and enjoyable experiences they’ll want to build upon within their homes and personal spaces. The decision by Amazon to join the Zigbee Alliance at the Board level is a strong message that the industry is focused on simplifying and adding convenience to the growing range of IoT devices available to customers. Access Networks has hired industry veterans Alesia Hendley and Andrew Ward to its sales team. Hand-picked to support dealers serving residential customers Hendley and Ward bring their industry knowledge to the roles of associate sales engineer and Western regional sales manager, respectively. Ward joins Access Networks from McIntosh Labs, where he was the Northwest regional sales manager. Before that, he led the Northwest regional sales team at Polk Audio, and, prior to that, worked in the sales department at B&W Group. With a background as an audiovisual specialist, industry blogger, and podcaster Hendley brings extensive AV experience to the Access Networks team. In her role as associate sales engineer, Hendley will support Access Networks’ sales and support initiatives with her technical knowledge and insight. Catalyst AV, a national network of independent consumer electronics distributors, has reinforced its board of directors by adding Woody Taylor of Electronic Lane, Texas. Electronic Lane has locations in Houston and Dallas and serves Oklahoma, Louisiana and Arkansas. Chris Gentile of Aim High Audio with locations in Georgia and Florida and serving N.C., S.C., Tenn., Ala, Miss., and Puerto Rico. In addition to the board, Lew Freedman of Professional Audio Associates (PAA) serving Massachusetts and the Northeast, has assumed an advisory position and Helge Fischer is the executive director. Nortek Security & Control (NSC), a global manufacturer of wireless security, home automation, access control and health and wellness technology, announced the appointment of industry veteran, Scott Osborne, to Nortek Security & Control regional sales manager, responsible for helping dealers build their business in the Southern California and Utah territories. Cleer, Inc., a high-performance headphone and audio manufacturer, has hired Aaron Levine as its vice president of marketing. 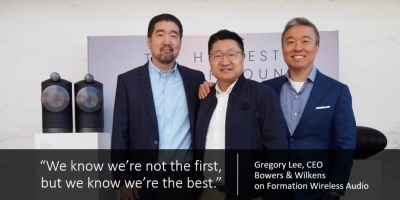 According to the company, Levine’s executive level successful stints at Sony Electronics, Pioneer Electronics, and Sound United make the industry veteran the perfect choice for Cleer’s accelerated growth plans. “At this juncture of our growth, we’re elated to add such an esteemed marketing executive such as Aaron to our team. He has successfully handled big brand marketing and team building on a global scale and we’re excited to see what he can do for Cleer. Please join me in welcoming him," states Patrick Huang, president of Cleer, Inc.
RTI, a manufacturer of control and automation products for residential and commercial settings, has announced Clint Forberg as its director of training. Previously serving as RTI's Central United States regional business manager, Forberg will noq oversee all RTIXCEL training programs, including the RTIXCEL Online learning management system (LMS), live TechTalk webinars, RTIXCEL Live on-site training seminars, and the three-day RTIXCEL Experience, hosted at RTI headquarters in Shakopee, Minnesota. 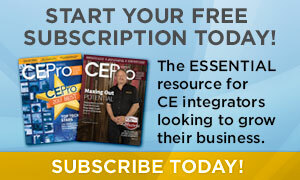 Forberg has 30 years of experience in the CE industry. Since August 2017, he has been responsible for sales management and business development for RTI across a 16-state territory. "Clint's in-depth knowledge of the custom installation industry and RTI products is second to none, and throughout his career with us he's played a pivotal role in both our training initiatives and sales efforts," says Ed McConaghay, CEO of RTI. Long-time industry veteran Vince Luciani has joined SurgeX as its new senior sales engineer. Prior to joining SurgeX, Luciani worked for the power protection company Innovolt. Years ago Luciani, a guitar player, also participated in the EHX trade show events in Florida as a member of the CE Pro All-Star Band that included Fender Custom Shop master builder John Cruz. James Loudspeaker, designers and manufacturers of décor-friendly entertainment products for both residential and commercial applications, has announced that it is moving to a new headquarters and manufacturing facility located in Minden, Nev. The new facility provides a significant increase in space to house enhanced production capabilities, warehouse facilities and additional engineers to accommodate the double-digit growth of the James Loudspeaker brand. The facility effectively doubles the company's manufacturing capabilities, and new team members have been added to the engineering corps to address the increased demand for products in every category. Jay Wessell has joined James Loudspeaker and will serve as president of the company. Wessell, who had worked alongside CEO Mark Schafle at Infinity and other ventures, and he brings an extensive background in the audio industry to his new role. Wessell will oversee the finance, HR and other aspects of management enabling Schafle to oversee manufacturing and marketing. Industry veteran Chris Pruet has joined Stealth Acoustics. With 24 years of experience in the CE Pro channel ranging from dealer integration and distribution sales to manufacturing, Pruet moved from Texas to Mount Vernon Wash., to work for Stealth Acoustics immediately after the CEDIA 2018 show. According to Stealth Acoustics, Pruet's daily duties will include CEDIA/rep relations, marketing & social media focused to grow the Stealth Acoustics foothold on the market. “Stealth offers audiophile quality invisible loudspeakers that you don’t have to be embarrassed about! 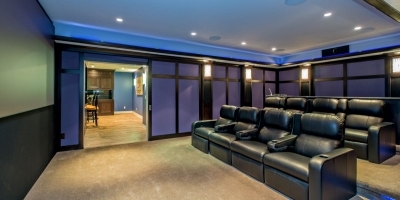 We also provide an outdoor TV solution called Patio Theater that is completely motorized, and very affordable to the homeowner, fully loaded with our patented Invisible loudspeakers! With Stealth’s commitment to the CEDIA channel, our dealers & homeowners will continue to receive Best of Show products,” states Pruet.